Your reward for all the hard work gone before. The July garden is full of flowers for cutting, drying or just to enjoy where they are. To keep the show going remove faded blooms or spikes from herbaceous plants, bedding plants, annuals and, of course, roses. Cut back lupins and take geraniums, violas and delphiniums back down to the crown once they have flowered. You may wish to leave some flowers of selected varieties to grow on if you want the seed for growing. Along with treating for insect pests look for rust on hollyhocks and mildew and black spot on roses, treating accordingly. It’s a good idea to spray roses at regular intervals to help prevent any disease. Now is the time to harvest flowers for drying to make indoor displays. Keep trimming hedges and topiary. You can propagate lots of carnations and pinks by taking stem cuttings, dip them in hormone rooting powder and dibble them into pots of soil-less compost. Cover with clear plastic food bags and pop them somewhere shady outdoors. Propagate clematis simply by pruning and using the cuttings, you can get several cuttings from one stem. Take cutting of shrubs such as lavender as well. 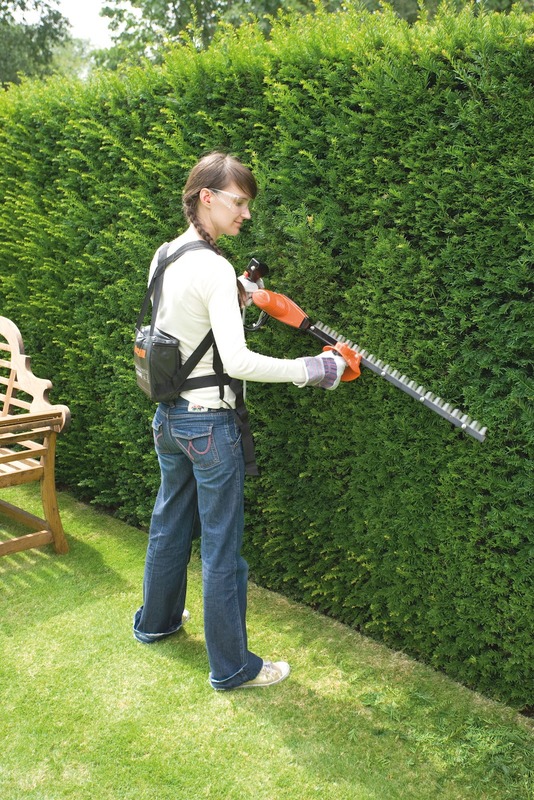 Keep conifer hedges under control.